"Our top priority was, is and always will be education, education, education. To overcome decades of neglect and make Britain a learning society, developing the talents and raising the ambitions of all our young people." The UK government knows that good education is good stimulus for the economy. It's long-term planning. In the Canadian election I have been left a little bemused by the lack of talk about education, and especially outcome-based technology education. In addition to this we know that technology drives all Canadian businesses and there has been no clear support for code literacy either. Most recently (since September 2014) the UK made coding education mandatory in all public schools. In addition, Belgium, Finland, the Netherlands, Italy and Greece all include coding in their school curricula, while Luxembourg, New Zealand and Singapore are in the process of introducing it. Even down in the USA we see Obama's TechHire kicking into action. This is a new campaign that works with communities to get more Americans rapidly trained for well-paying technology jobs. Over twenty communities are committing to take action -- working with each other and with national employers -- to expand access to tech jobs. Employers, government, and education institutions are working together to find new ways to recruit and place applicants based on their actual skills as well as to create more fast track tech training opportunities. They have even launched a $100 million competition for innovative approaches to connect Americans with disabilities, disconnected youth, and others to the fastest path to a good job in technology and other in-demand fields. Certainly very progressive and direct recognition that code literacy and a capability in technology development is important for growth. Well, Jeremy Shaki and Khurram Virani, Founders of Lighthouse Labs, 'Canada's leading Coding bootcamp' are also not happy. They want to see the political parties commit to kickstarting the discussion in parliament on code literacy, outcome-based education, and Canadian innovation through technology. 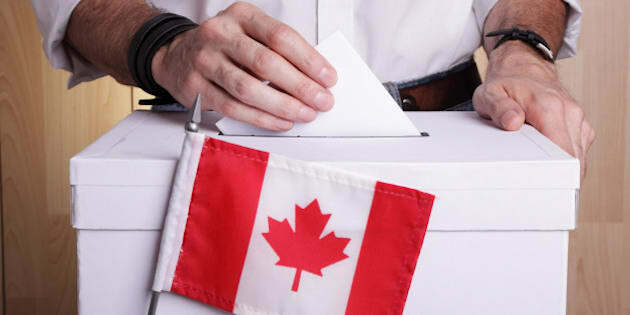 They've written (and sent) the following open letter to the top-4 leaders: Stephen Harper (Conservative), Tom Mulcair (NDP), Justin Trudeau (Liberal), and Elizabeth May (Green Party). They want them to take the lead in kickstarting the discussion on code literacy, outcome-based education, and innovation through technology to help boost the Canadian economy. We know that technology is the beating heart to drive progress in Canada and that it is the biggest driver of growth in the industrialized world. We see technology companies, startups, incubators, code bootcamps, nonprofits, and entrepreneurs working hard everyday to make Canada great through coding and technology innovation. This bottom up approach can only take us so far. This is resulting in missed opportunities everyday for Canadians to get to work and for businesses to innovate and lead the world. Our businesses, both large and small, need to grow. Our Retailers need to get online to compete and grow their businesses. Our Startups need to innovate, create jobs, and become world leaders and household names. We need to see a commitment from the government in kickstarting the conversation, creating awareness, supporting digital literacy and coding education in schools and beyond, and helping all Canadians be part of this solution. At Lighthouse Labs we care deeply about this discussion, code literacy, and outcome-based education. To-date, we have helped 100% of our 300 graduates secure jobs with top Canadian companies, and over 2500 Canadians learn to code during our HTML500 events across Canada. We, and similar organizations, are pushing to help as much as we can, but we need to know that the leaders of this country understand the opportunity at hand and the opportunity cost of not supporting the growth of technology from the top of government. We are inviting all technology companies, businesses that use technology, the startup community, students, and any Canadian that strongly feels that we need government support on this issue to join us in this request. We all want to know why you don't care about Canada's need to be code literate. We all want to know why you are not supporting Canada's progress through technology. We all want to know what you will do if and when you are elected into power. We look forward to hearing your response to this because, without clarity, direction, and commitment, we are unable to vote and choose who to lead us from 2016 and beyond, as are many in the Canadian tech community. Jeremy Shaki and Khurram Virani, Co-Founders of Lighthouse Labs. Let's see if Stephen Harper, Tom Mulcair, Justin Trudeau, and Elizabeth May step up and respond to these demands. If they do, they are likely to win the votes of many in Canada's tech scene.